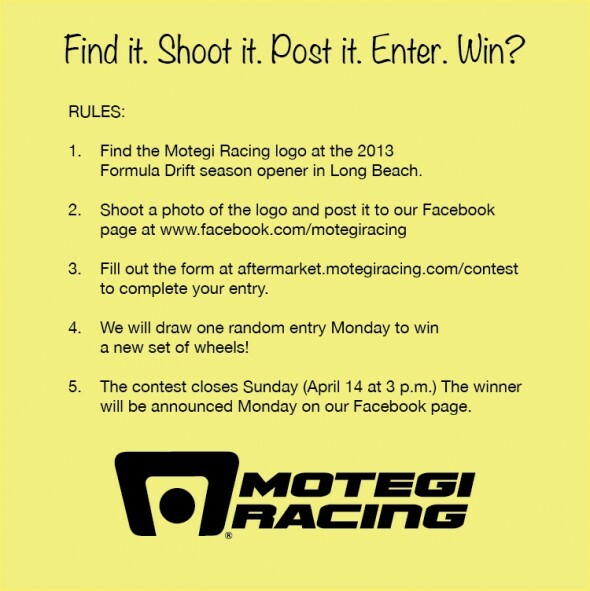 They’ll announce the winner on their Facebook page on Monday 4/15/13. Long Beach, Calif. – June 30, 2011 – The official Facebook page of Formula DRIFT has surpassed the 100,000 mark in total fans. Formula DRIFT has also launched mobile version of website. Formula DRIFT has seen a dramatic growth to their Facebook page fan base this season as the 100,000 mark was broken during Round 4: The Gauntlet at Wall Speedway weekend. The amount of Facebook fans has doubled since the season began. To celebrate this milestone Formula DRIFT will be selecting a couple lucky fans from the Facebook page to receive a prize package including Formula DRIFT merchandise and apparel. The Series continues to be the leader and innovator for social media and technology when compared to other emerging motorsports. Formula DRIFT has invested into new technology in order to cater to their demographic of fans who are proven to be tech savvy and early adopters for the latest trends. Formula DRIFT has also announced the launch of the mobile version of the website, www.formulad.com. The mobile friendly version of the site has optimized content for mobile browsing while also maintaining the connection for the fans to live event data, results, news posts, and more. A custom blog theme for mobile users has been created allowing users to browse through the blog with ease. The mobile version also allows users to use multiple mobile devices and if equipped with Flash can access the full version of the website. Join the Official Formula Drift Fan Page on Facebook! If you have an Facebook account join the Official Formula DRIFT Fan Page!